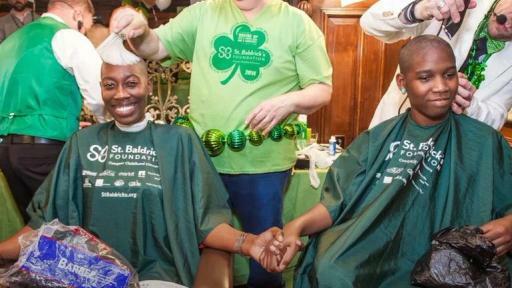 NEW YORK (March 17, 2017) – This St. Patrick’s Day marks the 17th anniversary of the first St. Baldrick’s Foundation head-shaving event to raise money to find cures and better treatments for childhood cancers. 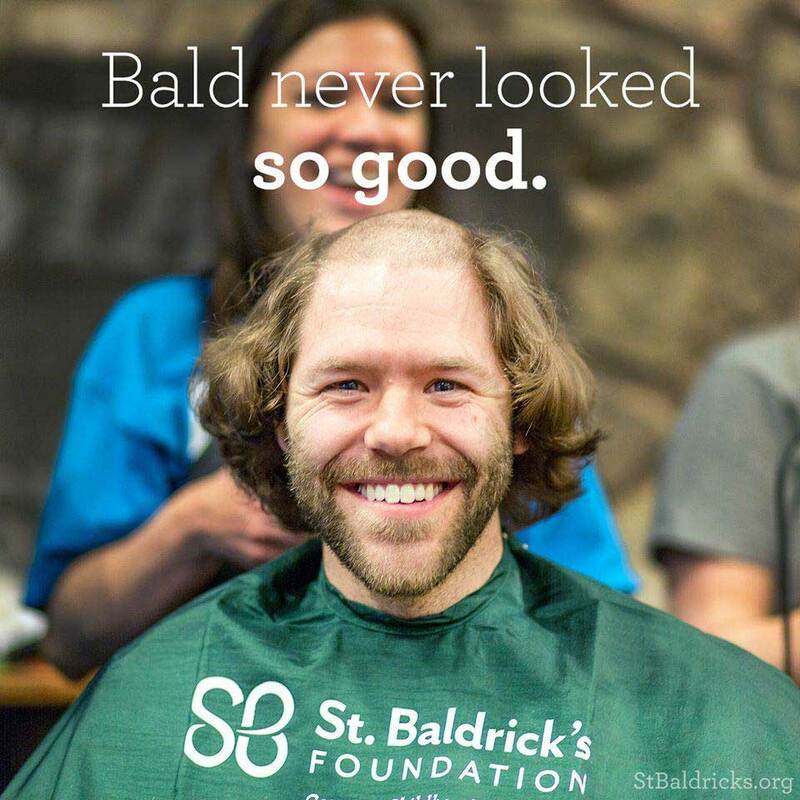 While there isn’t a saint named Baldrick, the name does represent a mash up of St. Patrick’s Day and the word “bald” – two things that sum up the Foundation’s humble beginnings. 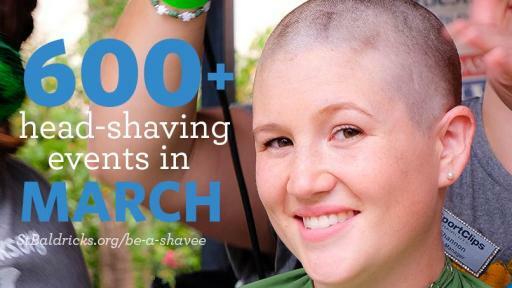 The idea to shave heads for childhood cancer research was born from a challenge between colleagues. Tim Kenny challenged colleagues John Bender and Enda McDonnell with a single question: How will you give back in return for your own good fortune in business? 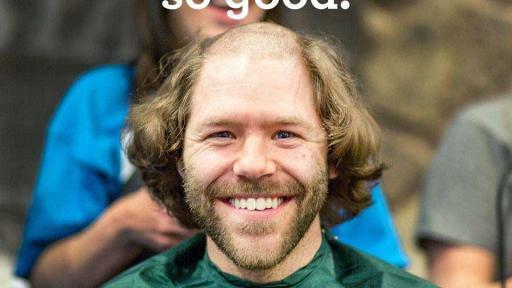 Enda’s thick head of hair gave John the big idea – shave heads for donations to raise funds for kids with cancer. Their event was a success, surpassing its fundraising goal of $17,000 by raising an impressive $104,000. Because of St. Baldrick’s volunteers and donors, kids like Abby Furco have benefited. Abby was first diagnosed with Ph+ ALL, a rare and aggressive type of leukemia, in February 2011. 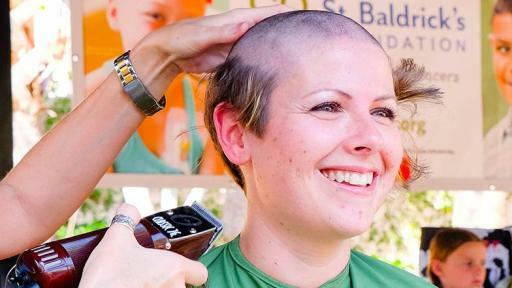 Soon, she was on a unique combination chemotherapy treatment available to her because of St. Baldrick’s funded research. The treatment worked and Abby enjoyed 11 months of just being a kid. Sadly, she relapsed and after suffering complications from a bone marrow transplant, Abby was given only 48 hours to live, but that didn’t stop her. This past summer she served as a flower girl in a friend’s wedding and had the chance to visit Italy. She is happy to be back at school part-time and is also serving as one of five 2017 St. Baldrick’s Ambassadors representing the thousands of kids touched by cancer each year. Since its first grants as an independent charity in 2005, St. Baldrick’s has awarded more than $200 million, making it the largest private funder of childhood cancer research grants. 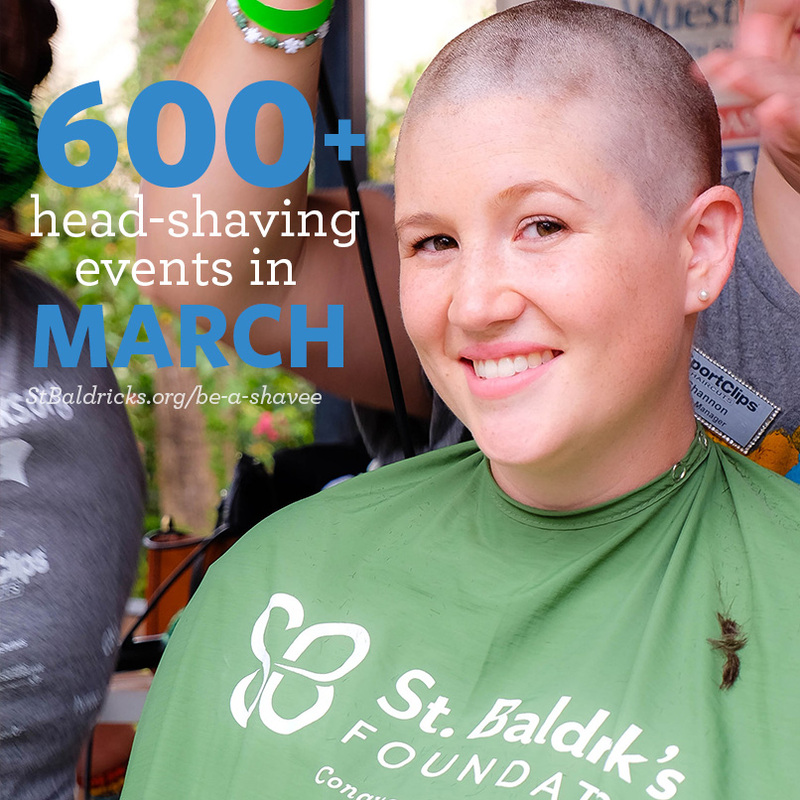 March continues to be a popular month for hosting a St. Baldrick’s head-shaving event, with more than 600 events taking place this month alone. So far, more than 20,000 people are signed up to rock the bald, raising more than $17 million to support the best childhood cancer research. 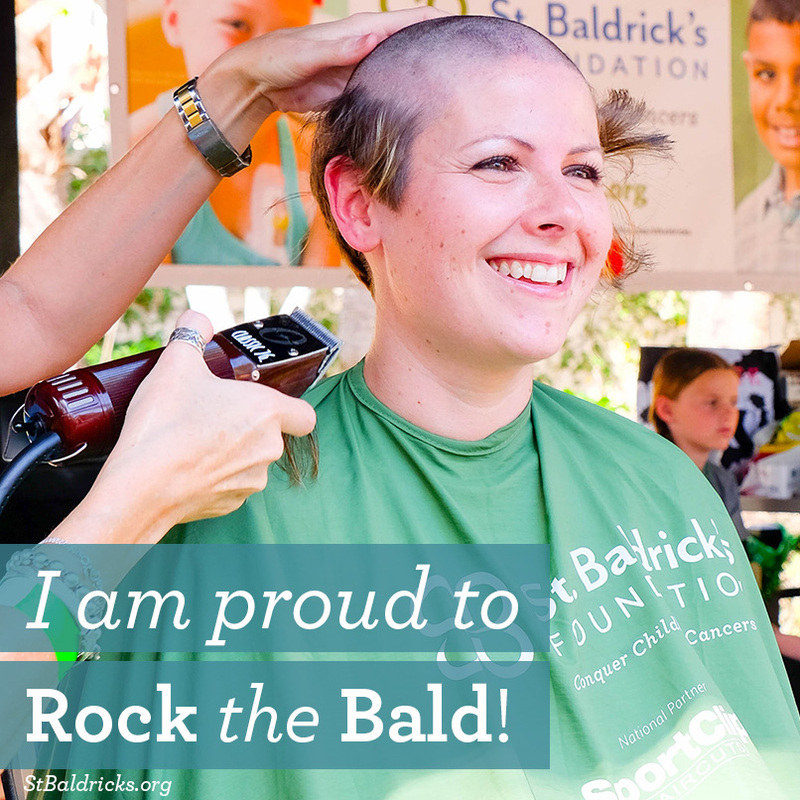 There’s still time to get involved with a St. Baldrick’s event! Check out our website to find a local event or if you’re not able to attend an event, consider making a donation.